Safe Seal Basement & Crawlspace Waterproofing - Chicago, IL > Crawlspace Encapsulation > Your Crawlspace – Out of Sight, Out of Mind, if you Don’t Think About it, it’s not a Problem. Right? Unfortunately, if you have a crawlspace in your home it is likely a problem. A wet or even damp crawlspace is going to create problems. 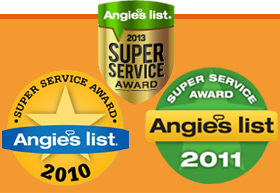 These can range from: radon gas, mold, mildew, standing water, odors,structural damage, wood rot, and many more. This list of challenges does not even take into account that fixing your crawlspace will result in energy savings from both your A/C and heating costs. In many homes in Chicagoland the crawlspace is going to be a damp, dark wet space. Especially in and around Chicago where there are a lot of unconditioned crawlspaces. Why? Because, for years building codes in regards to crawlspaces required ventilation. The idea was to get air flowing through the crawlspace to help evaporate moisture. However, in the Chicago area with the humidity and big temperature swings in our seasons this has created more harm than good. The ventilation creates vast temperature differences within the space resulting in more moisture rather than less. This comes from condensation, humidity, freezing and thawing ground from season to season. The result is water and condensation in your crawlspace. The new school of thought is to have an encapsulated space that is now conditioned at the same temperatures as your home and living space. By doing this you no longer have huge temperature swings thus eliminating the moisture generated by humidity. We all know that water is the most pervasive force on the planet and it doesn’t take much to cause problems in a home. A drip from condensation or moisture from humidity in your crawlspace can cause thousands of dollars in damage if it is ignored. 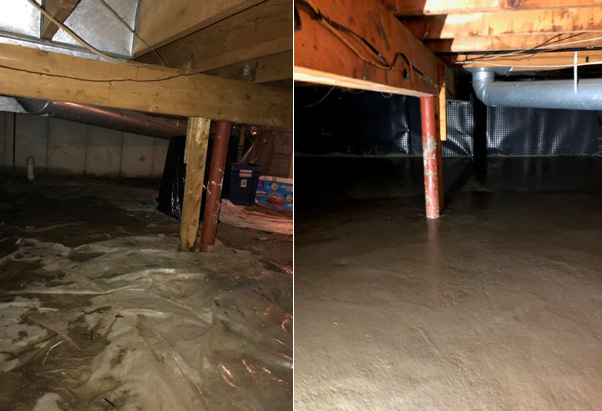 Ground water is a very common challenge in a crawlspace and though it is easier to see than condensation or moisture damage,the end result is the same: structural damage to your home. Ground water or seepage can be addressed with interior drain tile and sump pump systems that can stop the water from entering into the space. However, this will not help with condensation or moisture. Encapsulating your crawlspace is the only true way to stop moisture and condensation. Fixing ground water leakage with a drain tile and sump pump system is the first stage of a conditioned crawlspace. By adding these you will have taken the 1st step toward a much healthier living environment for your family. A conditioned, encapsulated crawlspace results in cleaner air, no more foul odors, warmer floors in the winter and cool floors in the summer. So what is the best method to a conditioned crawlspace? Your crawlspace needs to be sealed and dry: that’s it…but it is not simple to do. Builders and homeowners alike need to be aware of how to stop water from penetrating and ultimately deteriorating our homes. There are a lot of companies out there that say they can waterproof your crawlspace. A popular, but ineffective method, is to utilize plastic and tape. This is the equivalent of sweeping the dirt under the rug and pretending not to see it. This method is not recommended in Chicago’s climate. It covers the problems, but does not get to the root of the issues and stop humidity or water from coming into your home. If you think about this plastic and tape method from a different perspective it is easy to see its flaws. Would you use a plastic tarp and tape as a permanent solution to a leaky roof? Of course you wouldn’t, and you shouldn’t use it in your crawl space and expect it to last or keep water out of your home. It is a temporary solution that is often very expensive. Building standards recommend that you utilize an interior drain tile sump pit/pump, covered in a concrete floor with Spray foam insulation to finish off the crawlspace encapsulation system. This system will stop all the problems crawlspaces will create: permanently. It will stop water from getting into the space from both ground and wall seepage. Directing any water into a sump basin and ejecting it out of the crawlspace with the sump pump. Additionally, all vents are encapsulated conditioning the space to be temperature controlled like your home eliminating humidity and condensation. This method stops the water and condensation and damp air from penetrating your home permanently. 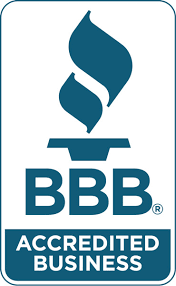 The result is no more mold, mildew, wood rot, rodents, radon gas, bugs, and no more worries about water. This also results in no more odors or humidity in the living space above the crawl with warm floors in the winter and cool floors in the summer, with some pretty big energy savings from month to month. When is the Best Time to Fix my Chicagoland Crawlspace? Any time of the year is going to work, and the results will be worth it regardless of the time of year. The old saying, “a stitch in time saves nine”, is really the key when talking about conditioning your crawlspace. Winter has some serious temperature lows in Chicago and that will end in a lot of moisture and condensation come Spring. The cold winters with a vented crawlspace here will take you 2-3 times as long to heat your home. Typically, crawlspaces have duct work running through them and the duct work is cold because of the environment it is in. You will pay to heat that duct work with forced hot air creating even more condensation from your forced air HVAC system. In essence, with an unconditioned crawl space that houses any HVAC duct work you are running that warm air through a metal tube in outside temperatures prior to using it to heat your home. That is why you end up with a cold floor and a heater that runs twice as long as it should, and you end up spending twice as much on the heating bill. And guess what in summer the same thing happens with your AC bill! Spring is when crawlspaces see the most moisture and water, but the damage that creates is ongoing and long lasting. It is not uncommon to see standing or even running water in a crawl space during Chicago’s wet spring season. Making the interior drain tile and sump pump in a crawlspace a must have in our wet spring climate. Summer in Chicago with the humidity levels running high you end up with a lot of moisture evaporating from the spring rains that has a big impact on the structural integrity of your home. Moisture build up on floor joists and supports over the years can create some real structural challenges if they are not addressed and will emerge long before your 30 year mortgage is paid off. Your home is a big investment and protecting it from the ground up is always a good idea. Fall is a great time of year to get in a crawlspace and condition it with an encapsulation system. Spring rains are gone. The ground is not saturated. The weather is temperate and makes for a good sealed concrete floor. Don’t let Chicagoland’s weather create a problem right under your feet.Whether it is new construction or old, that crawlspace should not be approached with an out of sight, out of mind tactic. Encapsulation is the only way to fix a myriad of challenges your home will encounter if it has a crawlspace. Don’t wait for the problems to happen in Winter, Spring and Summer! Fix your home from the ground up and stop the problems before they start. Think ahead and contact an expert from Safe Seal today to fix your crawlspace permanently!